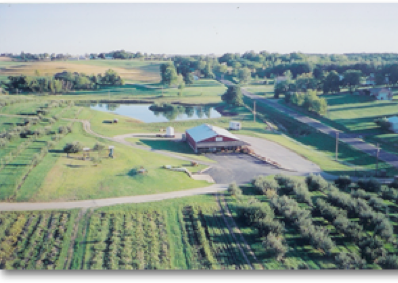 Nestled in the bluffs overlooking the Missouri River, Schweizer Orchards has produced and packed high quality River Bend Apples for over four generations. A family owned business, Schweizer Orchards continues this tradition with their retail market in St. Joseph, Missouri. We offer more than a variety of edible delights, you will also be welcomed by staff with a warm, friendly smile and have the opportunity to enjoy the outdoors by picking your own fruit in season. We also have freshly picked fruit and produce available inside the market. The Schweizer Family has produced fine quality fruits for four generations and invites you and your family to come out and sample all the delicious specialties and unusual gift ideas. Our mission is to produce top quality fruits and vegetables while continuing to be responsible stewards of the land. We aspire to sell our products in a friendly, family oriented market setting which provides reliable service, convenience, and educational outreach to our valued customers.